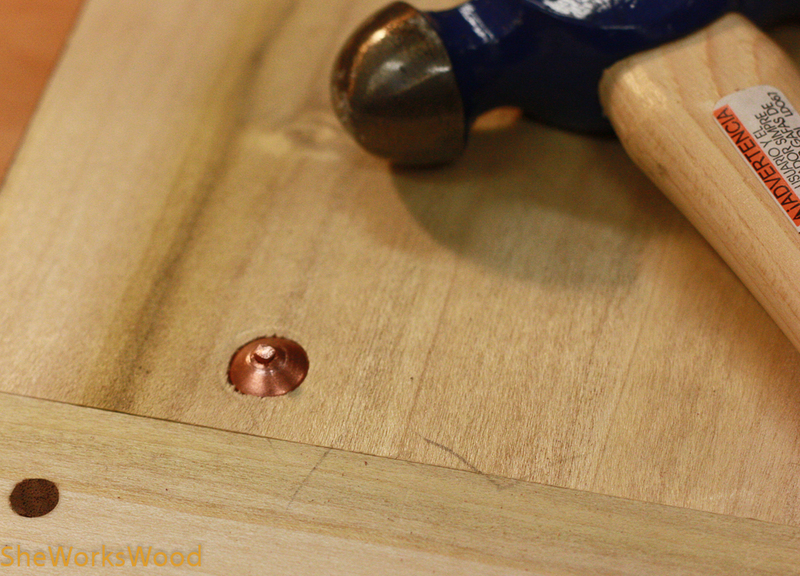 I posted about copper riveting here: Copper Nail Resources The rivets I put in the lid are really just decorative, but here’s how installed them. 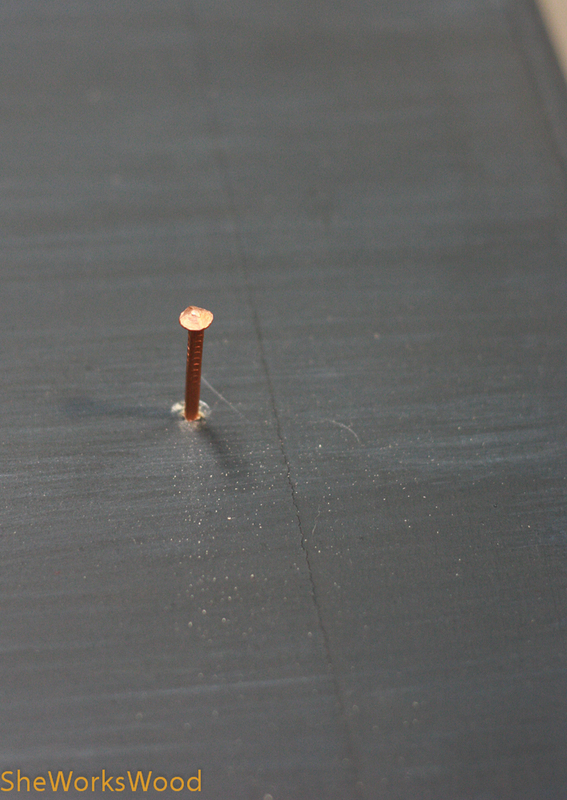 Drilled a pilot hole and hammered in the nail. Hammered on the rove using the rove tool. 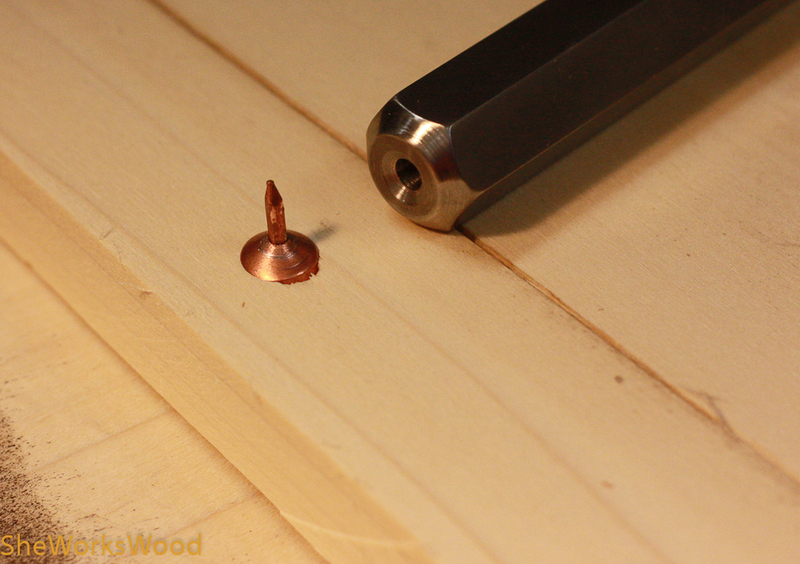 Sniped off the nail just above the rove. Mushroomed the nail to hold down the rove. Just make sure you have something hard to press the nail head into to avoid banging out the nail when you mushroom the cut off nail. Oh and I used a metal file to smooth things off a bit and get the mushrooming started. 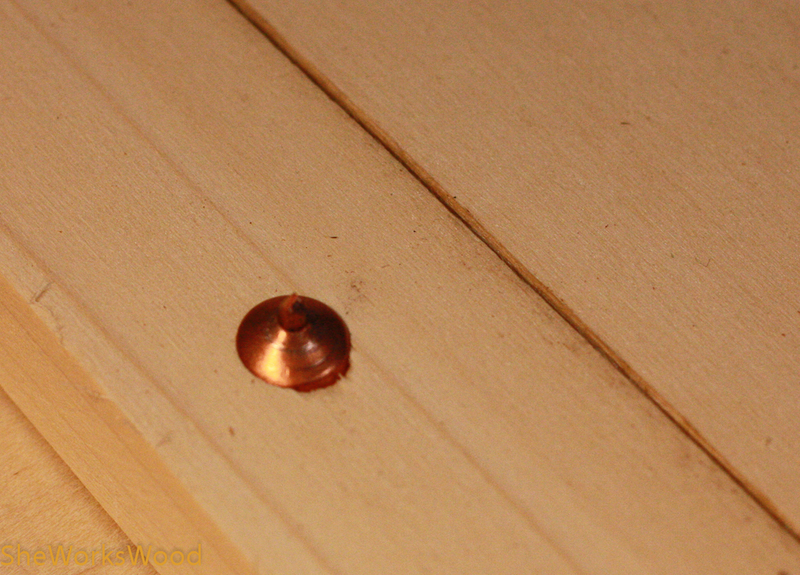 This entry was posted in Dutch Tool Chest and tagged copper nails, dutch tool chest, rivets, rove. Bookmark the permalink. Looks great! This is very similar to ‘peening’ the brass pins on a straight razor. There is a wealth of relevant advice on the razor-making forums/YouTube that you’d find useful for this, but it seems you have the technique down! That’s interesting! I would have never guess that there are brass pins on straight razor. I’ll take a look.